Post by Denise Philipp. Photos by Aurélie Bazard. 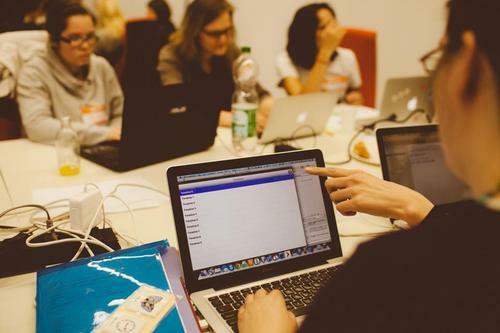 This past weekend, the Berlin Geekettes team together with the women engineers of SoundCloud not only organized the first Berlin Geekettes hackathon but also what we believe to be the very first all-women hackathon in Germany. So, now that everyone returned home and the last bit of post-hackathon details have been taken care of, we had a minute to reflect on what just happened. And to sum up: we are blown away. Over the past weekend, 80 women and countless supporters spent day and night at the Deutsche Telekom venue to build and break cool stuff. 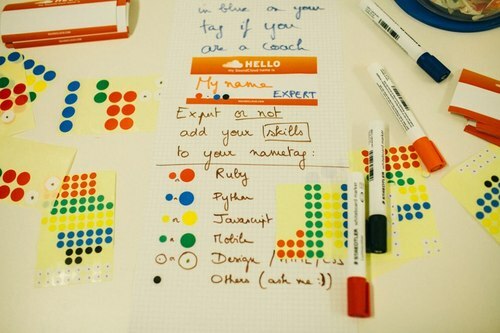 A total of 30 hacks were submitted, all built by women who wanted to see their ideas come to live. It’s been a long weekend with tons of activities that deserve telling - it deserves a longer blog post. The hackathon started Friday evening with a training session hosted by the amazing team of volunteers and domain experts of OpenTechSchool. A packed room of women and male supporters (yes!) were eager to dive into the details of the upcoming two days. Duana Stanley and Amélie Anglade of SoundCloud and OTS prepared participants with API details and things to expect. Saturday continued with breakfast and the kick-off presentation hosted by Berlin Geekettes founder Jess Erickson, who told the story of Berlin Geekettes, the spirit of sisterhood, and why this hackathon means so much to us. 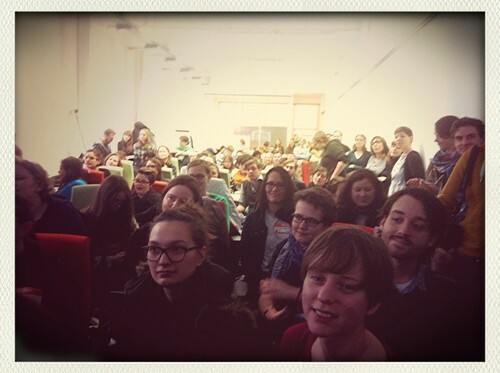 Berlin Geekettes Tech Ambassador and SoundCloud engineer Amélie Anglade covered the details of the hackathon. By then, everyone was pumped up and read to hack. 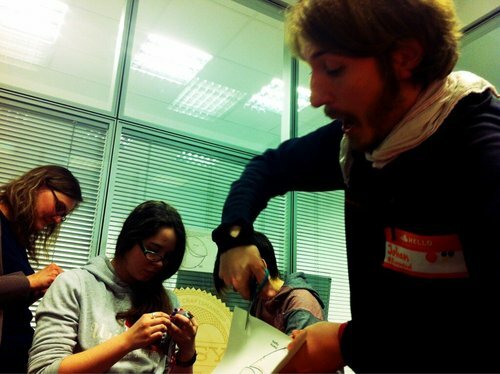 Continuing in true hackathon fashion, each API representative presented their API and provided inspiration for projects. All hackers were then called upon to pitch their ideas and find project mates.The line immediately queued and the women were ready to launch their visions. If you didn’t know it by then, you could see it now: there was a damn fine crowd of talent here. The teams quickly formed and a nice mixtures of programming experts, enthusiasts, designers, and other creative minds found each other. Together with a very dedicated group of women and men who lend their programming expertise, it was time for the teams to get cracking. Watching the teams fiercely code away for the next 24 hours, questions about gender differences no longer mattered. Problems were solved. Lines of code emerged. Hacks were built. 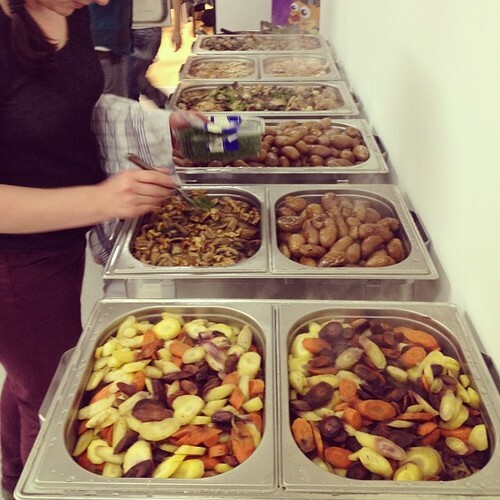 Everyone took a break for dinner - a true feast prepared by private chef Leila Kristiansen. We gave our word to keep it healthy and thus pizza was traded in for a Northern French buffet that catered to carnivores and vegans. To stretch body and brain muscles, hackers also took breaks and exercised with our sports coach Melanie. In the Etsy craft corner, hackers and domain experts were seen wielding the sewing needle. On Sunday morning, after little to no sleep, the air tingled with intensity as the time for demos rapidly approached. Guests and supporters arrived and everyone was antsy to see the hacks. In our opinion, every single hack was creative and outstanding. From a new spin on poetry to helicopters signaling morse code to soundtracks for books, every hack deserves much respect! You must venture over here to check out the impressive full list of submitted hacks. Hackathon organizer and SoundCloud engineer Tiffany Conroy worked on a hack of her own: a voting system that allowed every attendee to select their top three hacks. You can see the list of all winning teams here. 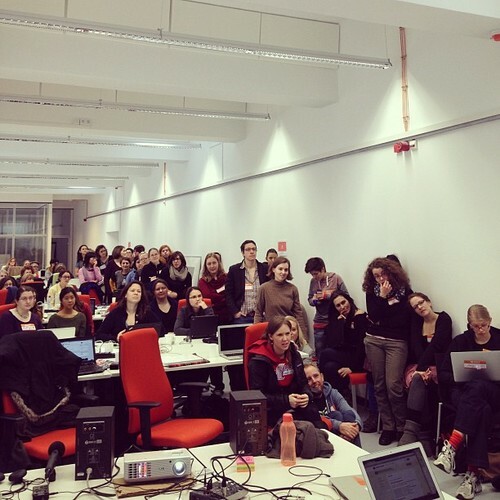 We’ve thrown quite the number of events since the birth of the Berlin Geekettes. But this one, well… it changed us. 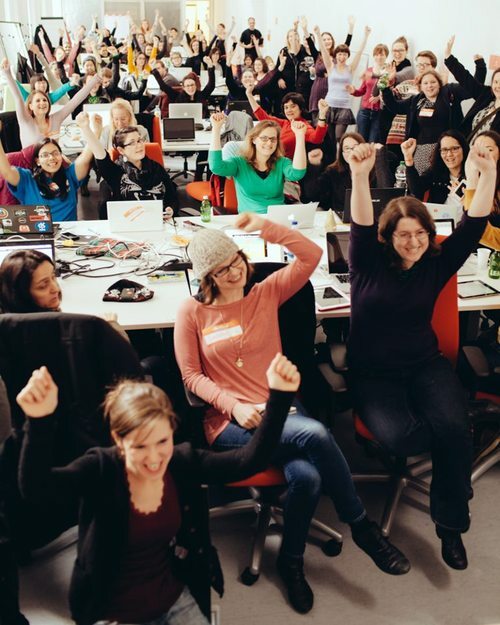 Since we set out to celebrate and support women in technology, we’ve had more community support than we could have wished for, but we’ve also come across opponents claiming we’re making the gap between men and women even bigger, assuming there are just a handful of talented female programmers out there, writing articles with bloated rhetoric that urge everyone to quit whining about the lack of women in tech. But the truth is, ain’t nobody whining over here! When it comes to building products and solving problems, passion trumps gender. We thank you all for being a part of this memorable weekend and hope to see you soon at future hackathons! SoundCloud for being there for us! SoundCloud also sponsored our super cute tote bags and invited a winning team to present their hack in front of the SoundCloud teams! Kitchensurfing for every extra effort, connecting us with such a wonderful community and for helping with the delicious lunch on Sunday! Etsy for sending us a stellar engineer from New York to help with the Etsy API, providing creative outlet with a craft corner, offering a 450 Dollar Etsy voucher to a winning team, and for giving gifts for everyone that used the Etsy API in their hack! 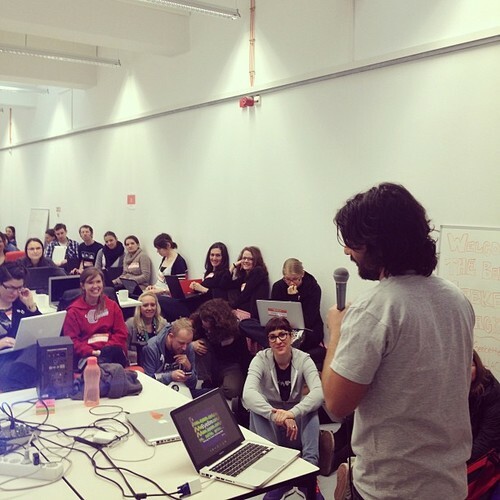 Deutsche Telekom for giving this hackathon a wonderful home, setting up an extra, super fast Berlin Geekettes internet connection, providing us with tech support over the weekend, being there for us, and giving away 5 iPads to 5 winning teams! Ilya Levtov for being a super cool cat that we can always count on! EyeEm for offering prices to all EyeEm hacks and inviting those teams to their master class with a pro photographer and artist! The Love of Chillies for opening their arms and home to two winning teams and hosting a lovely kitchensurfing dinner! Freddy Knop for letting us turn it up by lending his professional audio equipment. Careerloft for their support, spreading such nice words, and giving away a Raspberry Pi computer and Vapiano’s voucher to the best student hack! Wooga for their generosity and goodies that bestow spring feeling upon us, and for wholeheartedly supporting women in tech! Uber for providing every participant with a free private driver to get them home safely at night! Aurélie Bazard for designing our gorgeous hackathon website and taking pro pictures of the event! Tumblr for lending us their expertise and for sharing their swag with us! Paymill for their generosity, excitement and support! Leila and Dave for being on kitchensurfing so we can find them and using brilliance and creativity to serve us super healthy, yummy food with vegan and gluten-free options! MongoDB for being super communicative, supporting us, and sending goodies for every participant! YouIsNow for sincerely supporting us and helping us host this wonderful event! General Assembly for continuing to spark curiosity and foster learning by offering a month of workshops and classes to two winning teams! Readmill for being there till the wee hours to lend support and encouragement, and for giving every team using the Readmill API cool swag! Melanie Lange for running much needed exercise and relaxation classes between coding and for inspiring others to offer the same at future hackathons! Facebook for sending goodies as well as a personal message full of moral support and encouragement! LemonAid for partnering with us to keep everyone healthy and hydrated!